February 13, 2011 - Air New Zealand Engineering, contracted with Menlo Worldwide Forwarding, Inc. (“Menlo”) to ship a turbine aircraft engine from New Zealand to the United States on November 14, 2004. Menlo, in turn, contracted with Qantas Airways, to perform the actual carriage of the engine to its destination. When the engine arrived in Los Angeles on November 19, however, it was not in the same condition as when it had left New Zealand. It had been damaged sometime during transportation and the engine’s owner subsequently filed a claim with its insurer, Chubb Insurance Co. of Europe, (“Chubb”), for his loss. Chubb paid the owner $119,666.62. On November 14, 2006, Chubb brought a suit in federal district court against Menlo’s successor-in-interest, UPS Supply Chain Solutions, Inc. (“UPS”), seeking to recover the money that it had paid to the engine’s owner. Chubb argued that UPS was liable for the damage to the engine under the Montreal Convention, which governs international air carriage of passengers, baggage, and cargo. The parties eventually reached a settlement under which UPS agreed to pay Chubb $80,000. 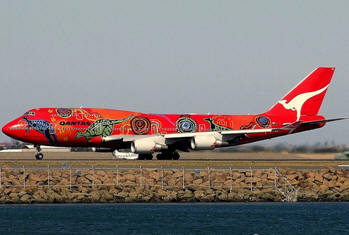 On September 18, 2007, UPS filed a third-party complaint against Qantas, for sums UPS had paid Chubb. UPS claimed that it was “in no way responsible” for the damages alleged in Chubb’s action, rather, UPS maintained, the engine was damaged as a “direct and proximate result” of “negligent or other actionable conduct” by Qantas. The case was heard in district court. However, the case was dismissed due to the district court narrow interpolation of the “Montreal Convention”. The court ruled that UPS failed to file a claim with the court within two years from the date of the initial claim. UPS then filed an appeal with U.S Court Of Appeals for the ninth circuit. Construed against this backdrop, the “right to damages” referenced in Article 35 is the cause of action under the Montreal Convention by which a passenger or consignor may hold a carrier liable for damage sustained to passengers, baggage, or cargo. The Appeals Court viewed that it was clear that Chubb’s action against UPS asserted such a right. But it is equally plain that UPS’s third party action against Qantas did not. UPS did not seek compensation for damage sustained to the engine but rather, UPS, as a contracting carrier, sought indemnification from Qantas, as an actual carrier, for such compensation it has already paid Chubb. Because an action between carriers for indemnification or contribution is premised on the “right of recourse,” rather than the “right to damages,” Article 35’s time bar did not apply. The U.S. Appeals Court overturned the districts court decision and remanded the case for trial.